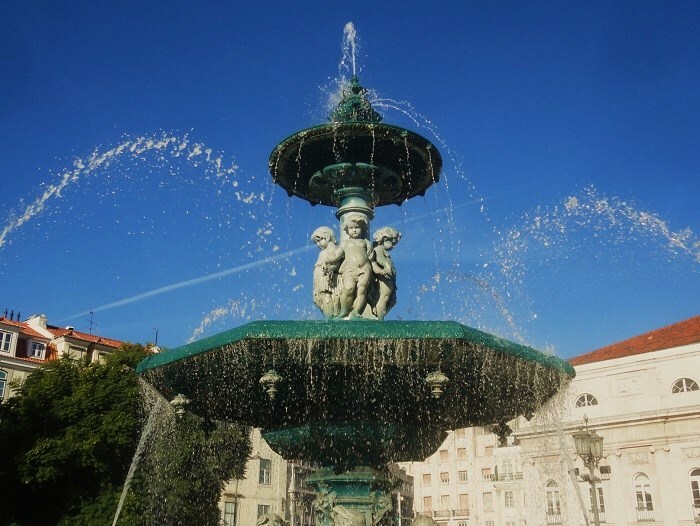 Lisbon and the Sunny Coast: Cherubs ? Hmmm...I thought these little guys were expressing themselves at first. Cute fountain! Somehow the jet's contrail looks like part of the plan... Nice. Such a beautiful fountain! And great capture as always, Jose!! I do love your BLUE skies!! We haven't seen any blue skies in over a month!! I do miss them!! I hope you have a great New Year!! Enjoy!! they look like it was a warm day to be playing in the water. You could use this photo as a postcard. I guess even cherubs like to play in water.